I usually serve vintage cava at parties in preference to some of the lower priced champagnes. I actually think that the house champagnes from Sainsbury’s and Tesco are quite good value, but to my taste are not as good as a vintage cava that might sell for a much lower price. Cava is the most popular Spanish sparkling wine. Most of it is produced in the Penedès area of Catalonia from the macabeu, parellada and xarel-lo grapes. It is made by the methode traditionelle in the same way as champagne. When Josep Raventós visited France in the 1860s he took a liking to champagne and decided to produce a Spanish equivalent. When the phylloxera plague destroyed many of Catalonia’s red grape varieties, they were replaced by the white ones from which sparkling wines could be made. The Telegraph’s Victoria Moore has discovered the merits of cava and praises it in one of her columns, but I have long been an enthusiast. The two best-known labels in the UK are probably Codorniu and Freixenet, both quite acceptable. I find vintage cava is far more to my taste than non-vintage, though it is more expensive. My solution is to buy it when supermarkets have it on offer at half price, so I pay £6 – £6.50 per bottle rather than the £11.99 it usually sells for. I often lay in a few cases at a time. Among the labels I like is Marques de Monistrol, and if it’s not available at a reduced price I sometimes buy Codorniu 1551 vintage cava instead. 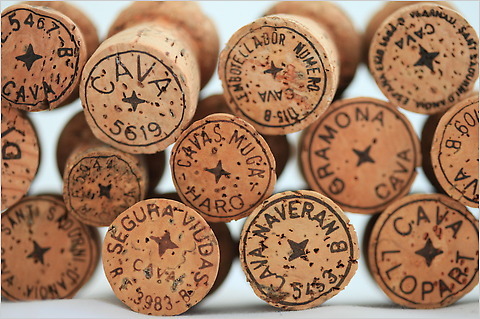 A good vintage cava should be crisp yet creamy, and have a characteristic ‘biscuity’ taste. And lots of fizz, of course, in small bubbles. Madame Bollinger had the best words on when to drink champagne, declaring, “I drink it when I’m happy and when I’m sad. Sometimes I drink it when I’m alone. When I have company I consider it obligatory. I trifle with it if I’m not hungry and drink it when I am. Otherwise I never touch it – unless I’m thirsty.” I think the same could be said for vintage cava.